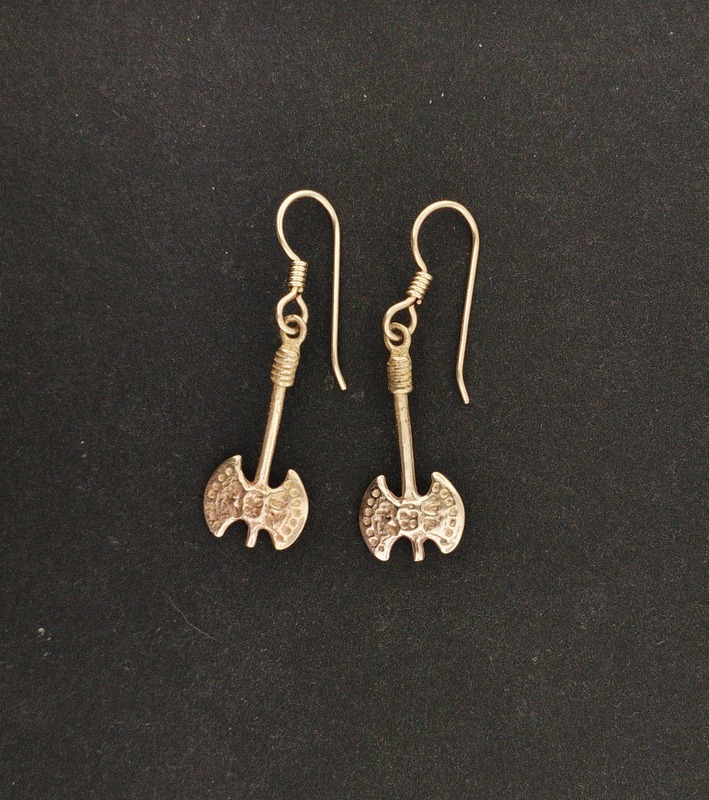 These earrings are a handmade pair of mini axes in antique bronze measuring cm long and 1.4cm wide. The ear wire are also made in bronze. A request from friends who were looking for mini axes, I used a white metal design to copy the pattern and rendered a near perfect copy of it.